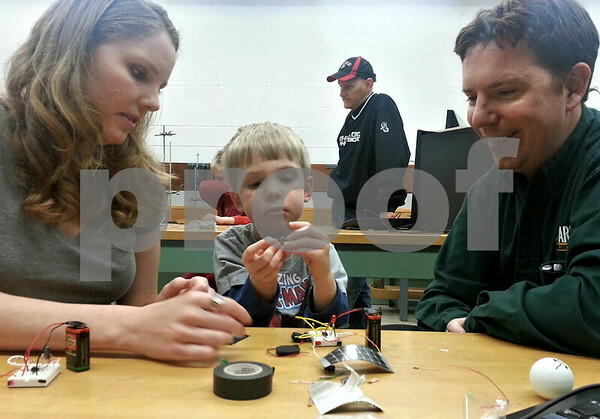 DeKalb residents Lena, 28, David, 33, and their son Jack, 4, work on building a circuit-based device in the Bright Futures Electric Art Lab on Saturday at Faraday Hall, Northern Illinois University. Bright Futures is a community program provided by NIU's STEM Outreach. The program helps people understand how electronics and electricity works through fun activities.